Les débuts de l'alphabet en Orient et en Occident. Quelle ambiance ! Y. DUHOUX, « Les débuts de l'alphabet en Orient et en Occident. Quelle ambiance ! 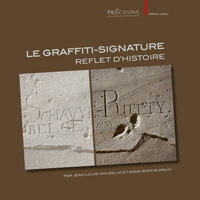 », Res Antiquae 7, Bruxelles, 2010, p. 105-118. The creation of the alphabet and its diffusion occurred in a very particular climate, characterized by an extreme freedom and inventiveness. This apparently irrepressible outburst appears not only in the very beginnings of the alphabet in the Middle East (from ca 2000 BC) but also when it was diffused in Asia Minor and Occident — in the Phrygian world, since the end of the IXth c., and in Greece and Italy, since ca 775.